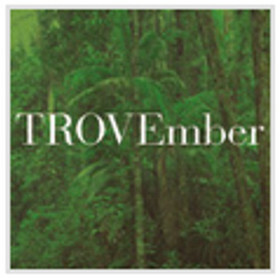 Australia’s best known (and totally free) website, Trove turns five this month, and they are celebrating throughout the month with TROVEmber. Five already, can you believe it? “You all thought the 11th month was called November. This year Trove turns five and so we’re taking over the month. Welcome to TROVEmber. While’ we’re on the subjeect of Trove, take a moment to think about all the hard work that people put in to make Trove what it is for us, and it is still free! I mean even the British Newspaper Archive isn’t free, so to say that we are being spoilt is an understatement. 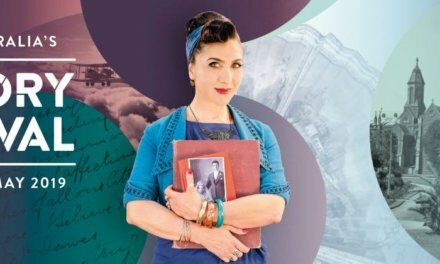 If you love Trove, and are passionate about history, information and preserving our intellectual heritage, we invite you to join our community of supporters by donating to the Library’s Trove appeal. Your support will enable a worldwide audience to continue to uncover resources relating to Australia and Australians … for free. I go along with and agree with all comments that this site “TROVE” is one of the greatest searching points on the net. Not only does it cover Australia but some overseas content as well. Being able to use it, is absolutely rewarding because you find something that is always very useful in your quest of History and Genealogy and it does help pull another brick from the wall to help build a halfway house for all to use, but the most amazing thing about this site is, it is FREE for all to use and on saying that I give my gratitude back like so many other users, by correcting/indexing and transcribing the digital fall out, so that it makes it that much easier for others to find what they are looking for. I agree that TROVE is the most useful free website available for researching Australian History and Genealogy. Unfortunately, it came online after I published ( in late 2005) “Horsemen of the First Frontier 1790-1900”, the result of 10 years research. Trove would have saved many hours of tedious Library research, often poring over Microfiche until the eyesight gave up. Since it became available, I have used Trove to check and add to the facts for many readers of “Horsemen” who correspond with me. I love Trove. I am a disabled aged pensioner who is near house bound. I can only get to the nearest public library for a couple of hours every several months and that at great physical cost. Trove gives me access to just so much material that I can still do worthwhile research in spite of my limitations. Trove presents a whole new aspect to my life and outlook. Just don’t tell Hockey/ Abbott about it or we will loose it. For they admire ignorance among their own and try to force it on others.